G.U.Y. - An ARTPOP Film is a long music video which features Jesus, Michael Jackson, Ghandi as well as "ARTPOP", "Venus" and the film's title track "G.U.Y.". The acronym stands for Girl Underneath You and later Gaga sings "I wanna be that guy". The switching of male and female roles continues throughout the song but what she's ultimately saying is that she wants to be in control. Once look at Gaga's following on social networks such as Twitter, Facebook and YouTube shows that she has more than 100 million followers - Gaga is definitely that guy! 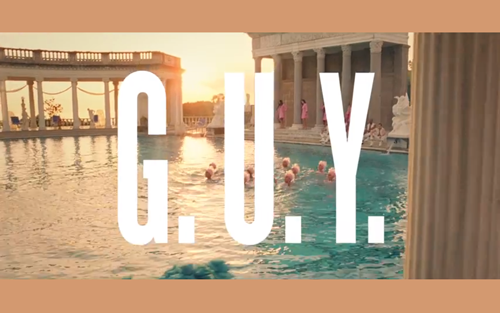 "G.U.Y." is taken from Lady Gaga's latest album ARTPOP which is out now on iTunes.